The familiar expression, “Home, Sweet Home” comes from a popular old song from the 1800’s. 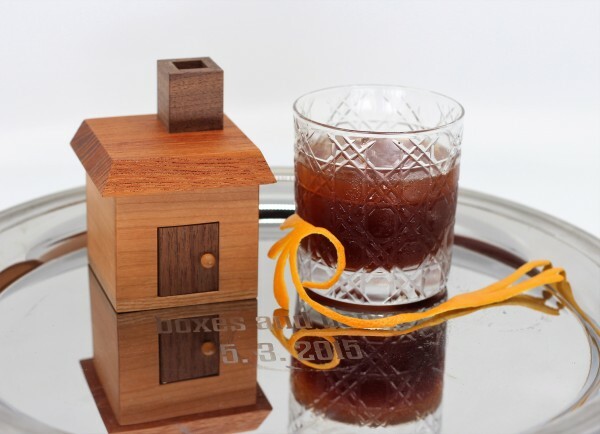 I’ve paired this sentimental little puzzle box home with a sentimental toast of my own, a drink I’ve named “Home for the Holidays”. Of course the drink is another variation on the classic Negroni, a three part cocktail with gin, sweet vermouth, and Campari. 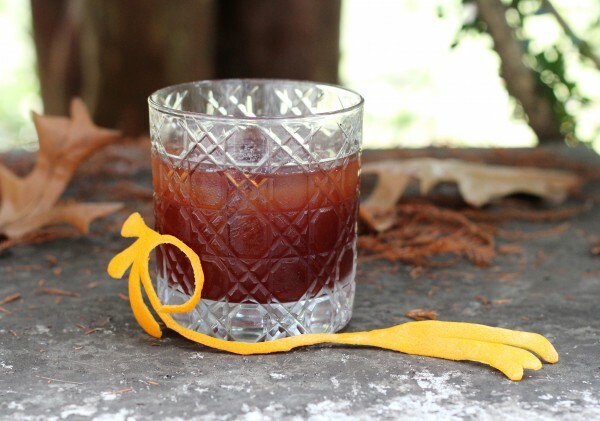 It’s the ultimate comfort cocktail, once you’ve acquired a taste for it. Variations on the formula are easy enough, simply substitute the three components within their class of spirit. For example, apple brandy is a nice change in the winter months, and adds a delicious flavor as the base spirit. We’ll use it in place of the gin here. Campari is one of the most easily recognized Italian Amari, the bitter liquors enjoyed as appetite stimulants (aperitifs) and digestive aids (digestifs). There are literally hundreds of Amaris, from different regions, with different profiles. Here I am using something rather unusual, for Americans at any rate – it’s been in the Trentino region of Italy for over a century. 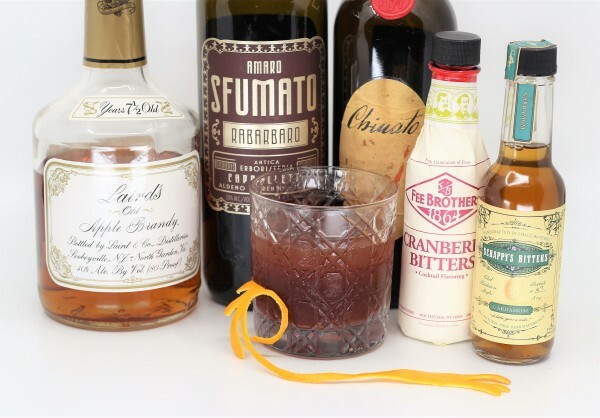 A rabarbaro is a class of amaro which uses Chinese rhubarb root, which imparts a deep earthy smokiness without any actual smoke. It brings the warmth of the toasty fireside into the drink. Finally the vermouth here is a Barolo Chinato, a rich and potent fortified wine from the Piedmont region of Italy. The name refers to the cinchona bark which imparts quinine flavors, like tonic. Rounding things out are a few dashes of cardamom and cranberry bitters. The result is a warm and wonderful winter experience I’d love to share with you at my own home. Cheers!